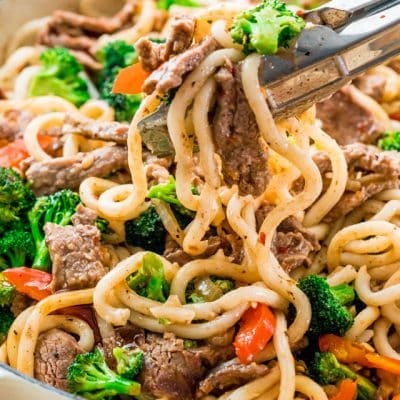 This Beef Broccoli Noodle Stir Fry is easy to make, tasty and everyone’s favorite! Ready in a matter of minutes, this flavorful dish packs a punch! If you know me at all, you’ll know that I love oodles of noodles and it’s really my go to meal whenever time is of an issue and need dinner quickly. As much as my husband hates noodles, he will still put up with my noodle obsession, but I usually will make him something sans noodles and keep them all to myself. 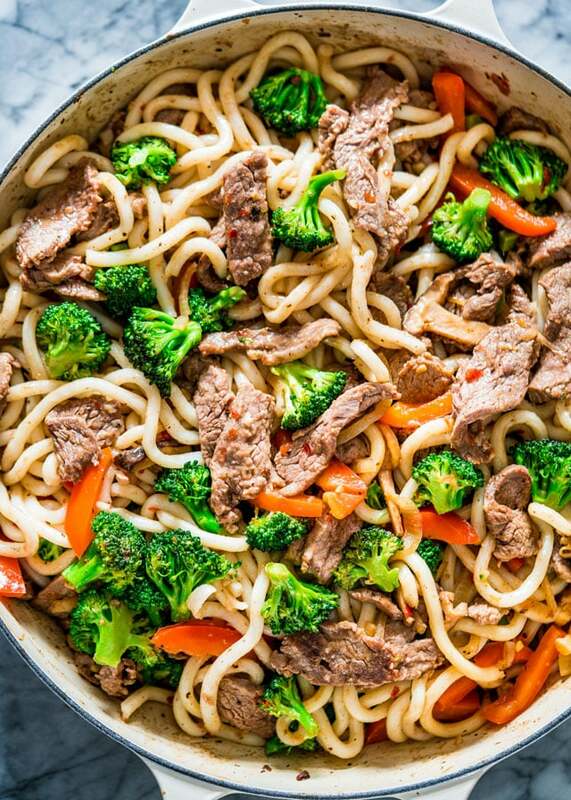 But this beef broccoli noodle stir fry isn’t really about the noodles, it’s really about the beef and broccoli. 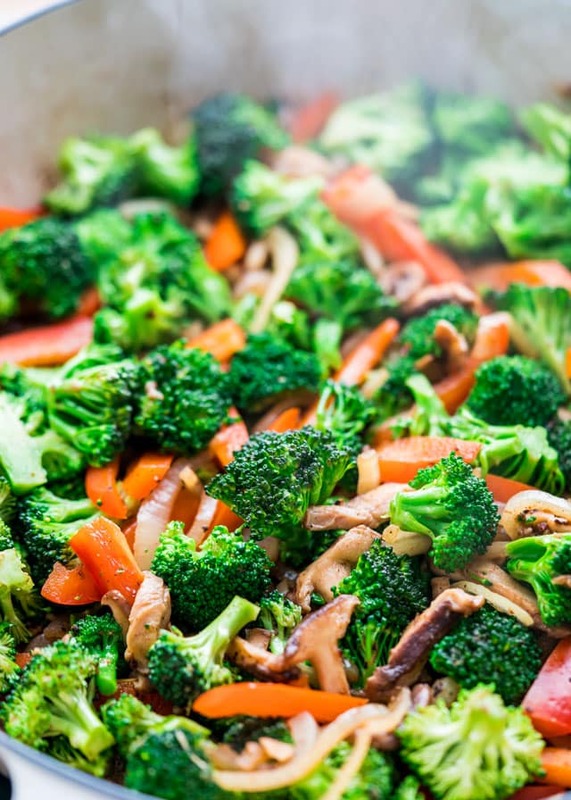 Beef broccoli really is my favorite dish that I always order when we go to our local Chinese restaurant. There’s something about that thinly sliced beef that’s full of flavor that I really love. Sometimes however, I would rather make this myself because it really is faster than ordering take out, and it tastes so much better, plus you know what you put into it and you can load it with veggies and oodles of noodles. Which is what I did here. I love shiitake mushrooms because they’re so meaty and have a nice earthy and smoky flavor, plus they’re perfect in a stir fry, which is why I chose them here. Then I loaded this dish with loads of broccoli because hello, it’s beef broccoli, but for some color I added some red pepper. Look how gorgeous it looks, because your food should look pretty, not only taste good. The flank steak is perfect in this dish because it cooks quickly on high heat and it’s a great lean meat. For this dish you have to cut it thinly and my tip for easily cutting this piece of meat nice and thin is to cut it while it’s still a bit frozen, makes it so much easier. If you buy it fresh, put it in the freezer for a bit just so that it is firmer to the touch. Of course you’ll also need a nice sharp knife. The other ingredient used in this dish that I don’t use often enough is oyster sauce. Oyster sauce is a very dark sauce made from sugar, salt and thickened with cornstarch, then flavored with oyster essence. It’s really great in a stir fry dish, it’s sweet and savory with a deep earthy flavor. The best part about this dish besides the taste is that it can really be done in 30 minutes from start to finish. I love my 30 minute meals. 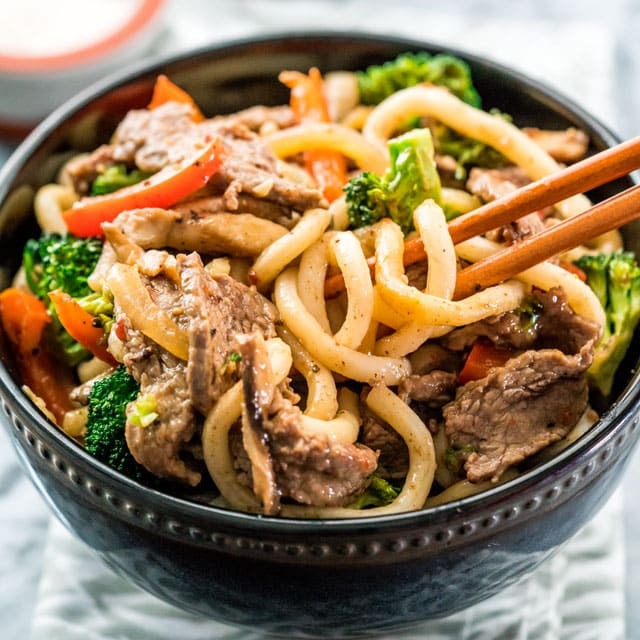 You really can use any Asian style noodles you like or can find, but I prefer udon noodles because I buy them already pre-cooked and all I really have to do is soak them for a couple minutes in hot water until they loosen up. 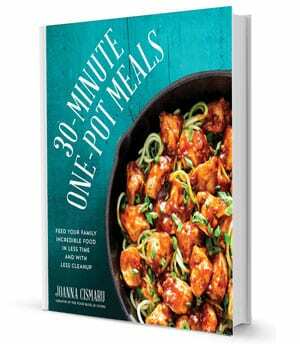 So there you have it, another easy 30 minute meal, loaded with delicious Asian inspired flavors. 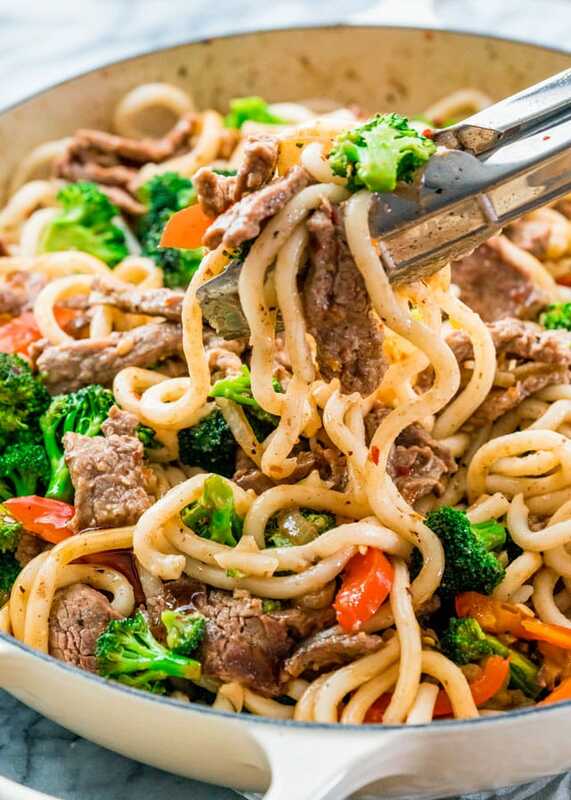 This Beef Broccoli Noodle Stir Fry is easy to make, tasty and everyone's favorite! Ready in a matter of minutes, this flavorful dish packs a punch! In a small bowl, whisk together the oyster sauce, chili garlic sauce, salt, pepper and water. Set aside. In another larger bowl add the flank steak, garlic, cornstarch, egg yolk, salt, pepper then toss everything together. In a large skillet or wok heat 1 tbsp of the peanut oil. Add about half of the beef and stir-fry it for about 3 minutes or until it starts to brown. You will need to do this in a couple batches as you don't want the steak pieces to stick to each other. Also if you need more oil after the first batch feel free to add some more. Transfer the beef to a plate and set aside. In the same skillet, heat the remaining tbsp of peanut oil. Add the onion and shiitake mushrooms to the skillet and cook for about 5 minutes until the onion softens and the mushrooms start to brown. Add the pepper, broccoli and 1/3 cup of water to the skillet and cook for another 8 minutes or so until the broccoli is tender-crisp. 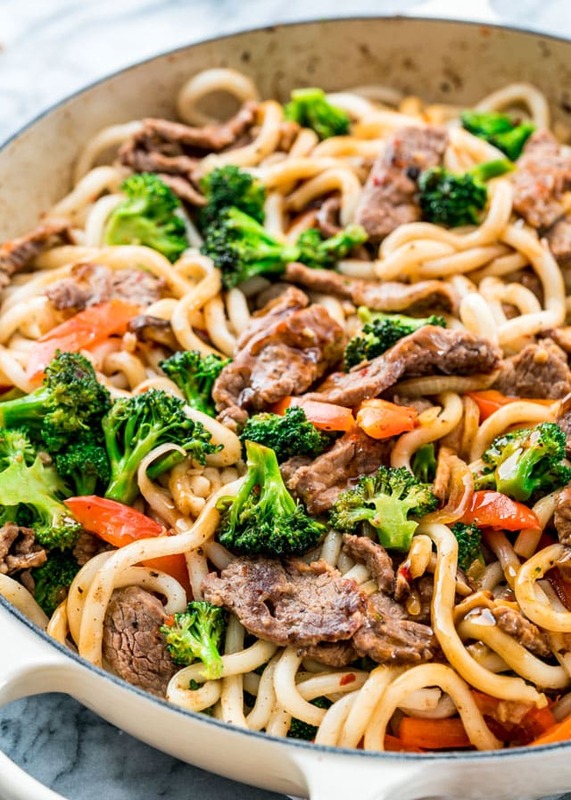 Add the noodles, beef and oyster sauce to the skillet and toss well. Cook for another minute until the sauce thickens a bit, then serve. * I usually buy my udon noodles cooked, all that's required is to soak them in hot water for a couple minutes until they loosen up. They usually come in 7 oz pkgs or 20 oz larger packages. In this recipe I used 3 packages of 7 oz. If you can't find them, any thick asian style noodle will work. Oyster sauce is a very dark sauce made from sugar, salt and thickened with cornstarch, then flavored with oyster essence. 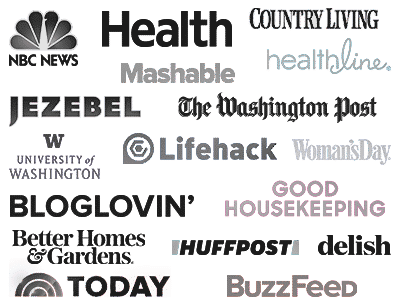 You should be able to find it in the international aisle at your grocery store. Hoisin would make a good substitute. Any cut of steak will work for this recipe as long as it's cut thin. A good trick to getting thin slices is to place the steak in the freezer for 10-15 minutes before cutting. Probably the best broccoli and beef receipt I have made. The oyster sauce was great and it made the dish. I have used soy sauce receipes before will and never going back. I followed the recipe but used baby Bella mushrooms instead of the Shittake mushrooms and served it over brown rice. Just the right amount of heat. It was easy and delicious…. A real keeper. Thank you. My pleasure, so happy you enjoyed it! Enjoyed this as well, also took me closer to an hour to prepare. Agree that homemade Asian dishes are so much better than takeout, and really don’t require much more time. Only suggestion is if cooking the udon noodles from dried, my 8oz package made plenty. I made this for supper tonight. It was a big hit with the family! My only change was to omit the salt from the oyster sauce because that is a salty ingredient. It did take me closer to an hour to make from prep to finish. Definitely will make this again! Here I am again, drooling over my computer screen. This is a perfect weeknight dinner recipe, and SO much better/cleaner than ordering takeout. Need this in my life!